Car servicing is just a regular maintenance visit to the mechanic. It is a series of various procedures where each part of your vehicle is cleaned and repaired. It not only deals with its repair but there are few parts which need replacement at regular intervals. Every machine needs cleaning and greasing at times and the car being a mechanism needs it as well and this is called car servicing. There are various joints which are working in this field to serve your car servicing needs. At a European car service, your special vehicle is given a special treatment. Before you take your car to acar service center keep a few things in your mind. Do a little homework so that you avail the services according to the payment made. Find an authentic and trustworthy service center because of your needs professional care. Take a good glance at your vehicle before you submit it for servicing. Make sure that you do not leave any of your valuables in the car. Clear it all up and leave all your personal belongings at your home so that you do not lose them to the mechanic. Well plan your date of service as per your engagements and book a prior servicing date with your service guy. Make note of your odometer after you leave your car and recheck it when you go to collect it. Do not visit the petrol pump before you go to the service center as the petrol if reduced by a liter will go unnoticed. Your work does not end only at the servicing you also need to keep few things in your mind after the servicing and before leaving any European car service center. Make sure that they have done as per your guidance. See that all scratches and dents are repaired. Take a good look at the odometer to ensure that it is the shows the same distance as before the servicing. Make sure that you they give you a checklist of the services provided by them. And match the service provided with those mentioned in the checklist. Drive a distance along with the service advisor and instantly mention if you feel any issue has not been taken care of. If you are getting your car serviced under any warranty, make sure that they stamp your documents. Condition because they might replace your good ones from their old ones. Check the fuel indicator to insure the fuel has not been drawn out. Never fail to take a receipt so that you can come back to them in case any replaced or repaired part with a warranty fails to work properly or breaks down completely. It is always advisable not to ignore even a small problem in your vehicle because you might have to pay more for it later. It is very important to state all the problems you face while driving to your service center so that they can solve your issues at once. A servicing can assure you don’t face any unexpected problem in your vehicle. 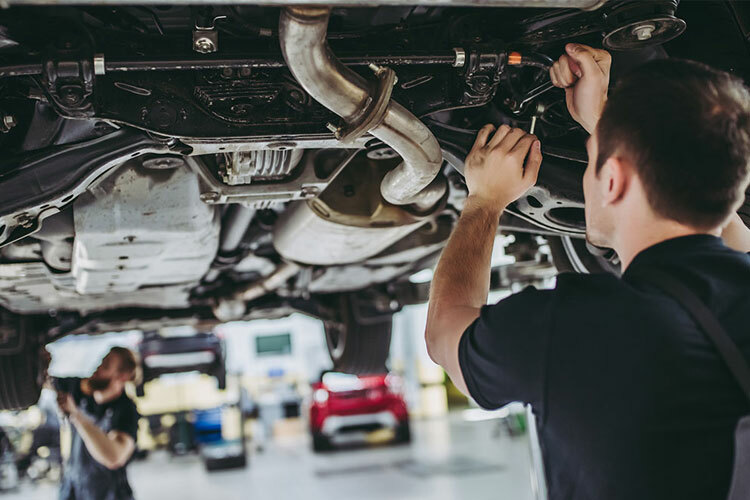 You can also avoid costly repairs as regular maintenance can keep parts in the proper condition which can make them last longer and avoid the cost of replacement in long run. There are various Europeancar service providers who customize their service as per the needs of the customers. They have an expertise in all brands of car and you can be sure of the service provided. All the above-mentioned pointers should be kept in mind while you plan a servicing for your car next time.